The dwarves are all captured by the wood elves and put in dungeons. Bilbo uses his ring to rescue them. 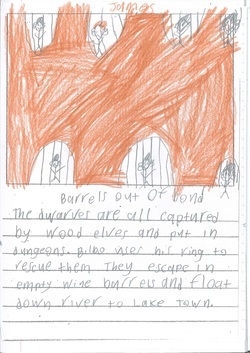 They escape in empty wine barrels and float down river to Laketown. Thorin tells everyone that the King under the mountain has returned. 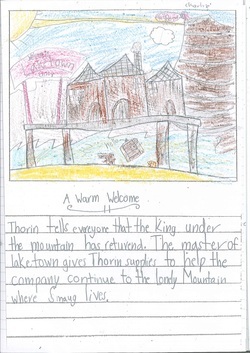 The master of Laketown gives Thorin supplies to help the company continue to the Lonely Mountain where Smaug lives.